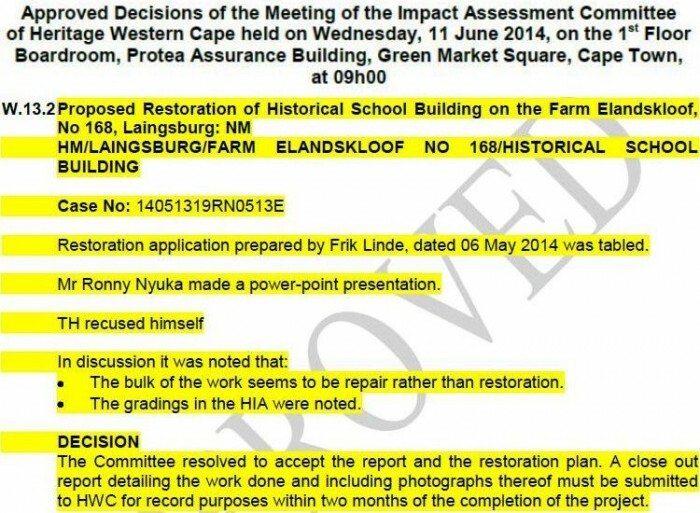 The restoration of this historic building as a Museum was approved by Heritage Western Cape on 11 June 2014! The simple school building consisted of two rooms: A classroom and the schoolmaster’s office. It was restored as-is without any external alterations. The only addition was a two-metre wide concrete slab along the entire front of the building to act as a “landing” for the two external doors with a three-metre paved area right around. The weathered and rusted corrugated iron roof required replacement. It was replaced with the same type and profile of roof sheeting. Two magnificent external wooden doors together with their wooden frames were removed several years ago to prevent further weathering. These have since been restored to their original state and were refitted. One door leads to the classroom and the other to the schoolmaster’s office. The building had no glass windows, only two wooden shutters. Only one of these shutters still exists. It was removed, restored and refitted. 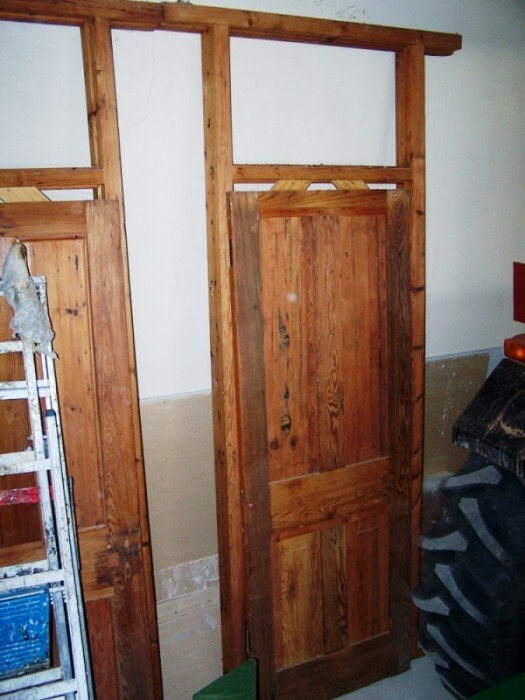 A second wooden shutter was made to fit into the existing wooden frame. A traditional reed ceiling was fitted for isolation to limit the impact of temperature extremes on museum artefacts. For security purposes, steel burglar bars were fitted outside the two shutters. The weathered floor was restored and levelled out to enable freestanding glass cabinets to be used for exhibiting and/or storing museum artefacts. Thought to have been built close to the turn of the 20th century, the proponent intends to convert this simple two-roomed building into a small museum (to focus on the history of the farm). This is a small rectangular building with a flat corrugated iron roof. 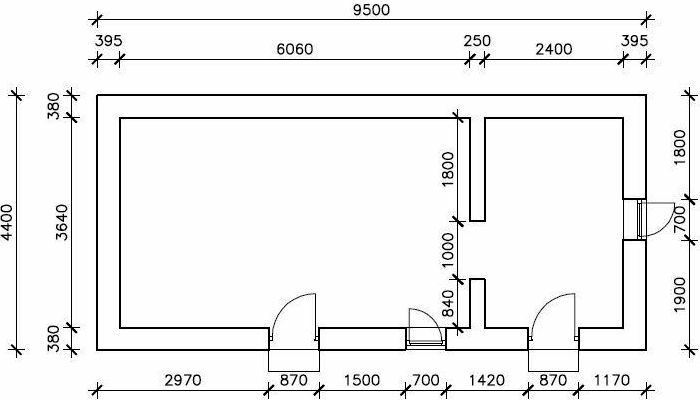 There is a single dividing wall which creates two rooms – presumably a classroom and a small office. The joinery is very simple, consisting of rough-cut beams supporting the iron roof, homemade doors (removed for safekeeping), lintels, unglazed window with a surviving wooden shutter. The building is made from stone on the weather sides, and homemade bricks and mud mortar. A particular characteristic of the building is the low miniature gable – a feature common to most of the surviving farm buildings. 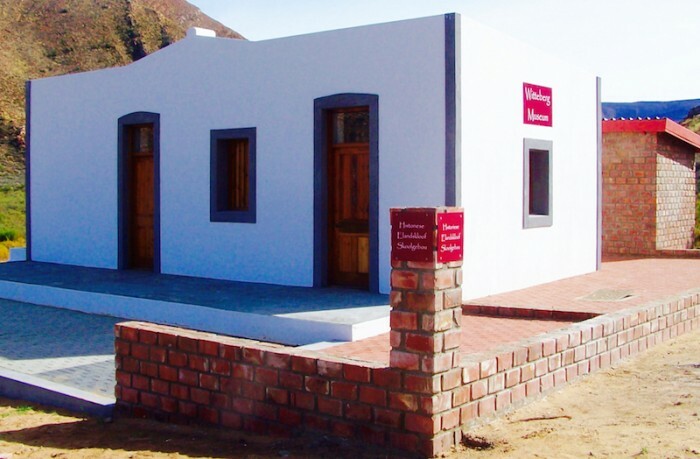 Significance: While the building is humble and contains no unique elements, it is locally important as a key historical feature depicting the conditions in which education took place in remote areas of the country. 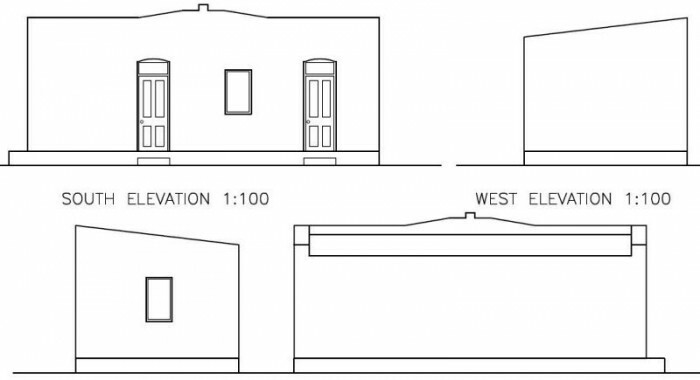 In these terms, the simplicity of the building is important and this needs to be recognisable in its future adaptive reuse. It also has group value as it is one of a set of structures that has stylistic commonalities with others on the property. Impact of development: The impact of development is high (positive) as the building will be preserved and subjected to suitable re-use. The reuse of this building as a small museum is supported – this could be used to showcase the natural history, archaeology and colonial occupation of the farm. Conserve mud plaster where possible, make good plasterwork. Use a very weak mortar mixture as this will give flexibility and lessen possibility of cracking (8 or 10:1). Consider using local sand to retain texture. Make good and re-install homemade joinery (where possible). If this is not possible, construct new windows and doors to fit the existing openings. Do not widen existing openings to accommodate off-the-shelf joinery. Repair roof with corrugated iron. 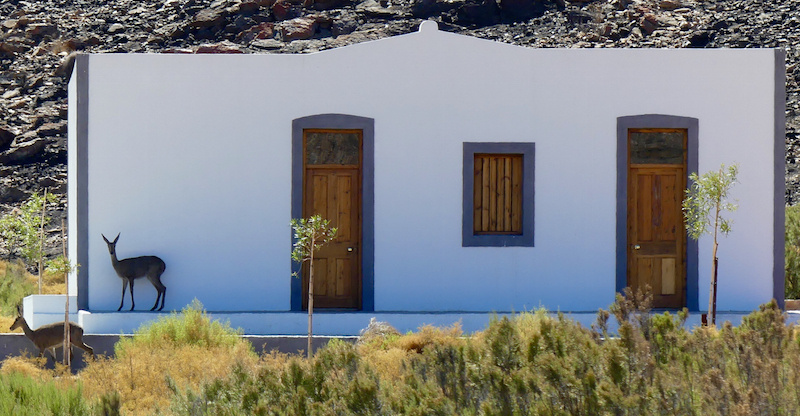 Re-apply white wash, but retain characteristic exterior colour scheme. Installation of electricity is acceptable – use modern but sympathetic fittings. Restoration of this old school building was to conserve a heritage building of limited significance but of heritage value in the rural Witteberg landscape. The alternative would have been to accommodate the planned museum in the new central resort facilities complex soon to be built. Sadly, leaving the old school building in a dilapidated state, it most certainly would have eroded rapidly to a heap of mud and stone rubble.